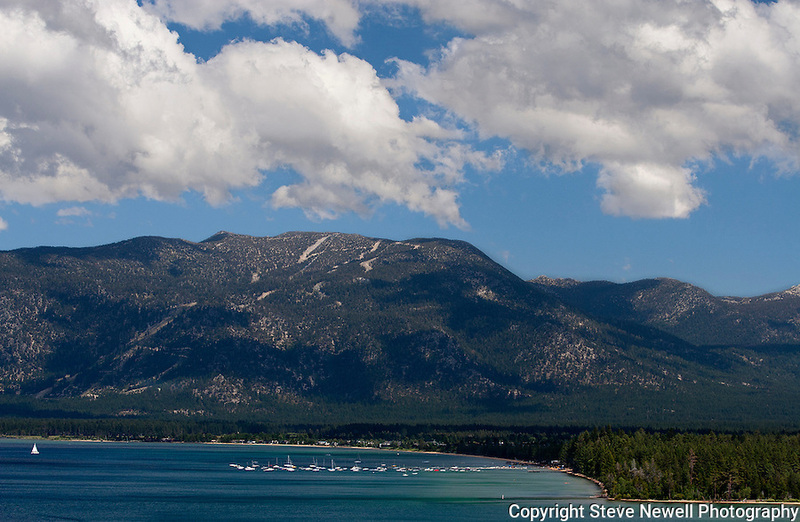 "South Shores Summer" South Lake Tahoe, CA. Heavenly Ski Resort in the background with Lake Tahoe's Kiva Beach located near Camp Richardson Resort and Beacon restaurant. Durning the summer water sports and boating can be enjoyed all around the lake.